Yesterday I ragged pretty hard on FAA for some tardy implementation of the systems required to ease expected airport delays this summer, and I always feel funny when I do so, because deep down, as an aviator, I like the FAA. Only with their marriage to the Bush White House on user fees and massive fuel tax increases, it seems the inner aviator in me is, well, just pissed at them, I guess. Those older IFR-certified GPS receivers (and some brand-new ones) that you've been relying on for years may now be unapproved for flying many instrument procedures, thanks to some recent FAA policy changes outlined in Advisory Circular 90-100A. Only three GPS models — the Garmin 400-, 500-, and G1000-series — are legal, according to the FAA documents. Other models made by Garmin, including the new GNS 480 WAAS receiver, as well as receivers manufactured by Chelton, Honeywell, Northstar, and Trimble are listed as "noncompliant." See the avionics chart. Many members have removed ADF and DME navigation equipment from their aircraft because of the 1996 policy, and they will no longer have access to conventional and precision approaches where the equipment is a required element. Complicating matters further, the older GPS boxes are prohibited from flying RNAV routes and terminal RNAV procedures. As I am currently “in the market” looking for the Cherokee 235 of my dreams, I always look first at engine times, and second at what GPS it has installed. 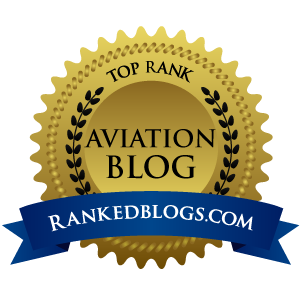 So this is all very interesting news to me, a VFR pilot who soon will join the ranks of IMC-bound flyers later this year, I hope. I have just automatically assumed that any “approach-capable” GPS was cool with FAA, and maybe there is something I am missing. 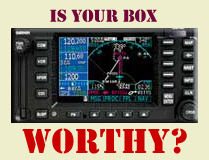 But this new item on aopa.org will certainly prompt more reading here, as now I must find out EXACTLY which GPS does what. The issue came about in March when the FAA updated avionics compliance tables in Advisory Circular 90-100A and made changes to the Aeronautical Information Manual. It means that up to 26,000 GPS users no longer comply with a 1998 FAA policy that allows GPS to be used in lieu of ADF or DME. AOPA told the FAA that all IFR-certified systems should still be approved for use in lieu of ADF and DME and for flying T routes and certain departure procedures where pilots manually enter the waypoints. Except for major metropolitan airports, the use of older boxes should not be restricted. 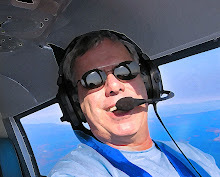 Download the PDF letter they sent to FAA here, and the AOPA chart of effected GPS units here.